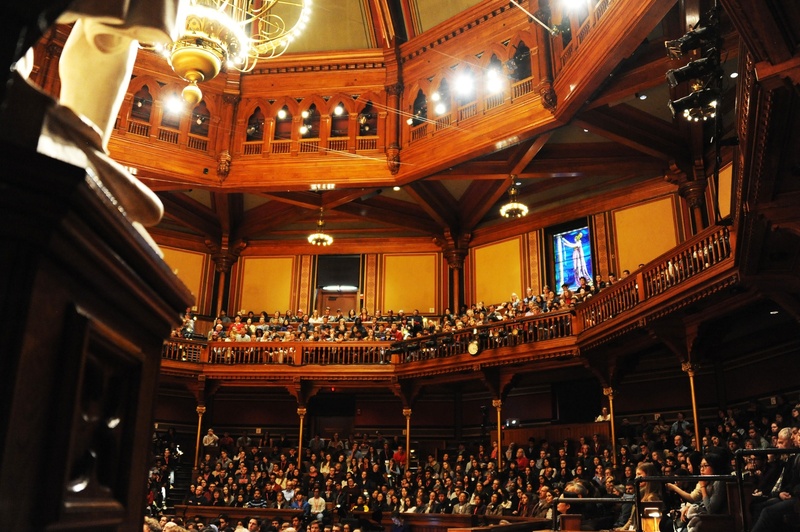 Economics 10a: 'Principles of Economics' is held in Sanders Theatre. Harvard undergraduates bid their final farewell to summer Wednesday as they crowded classrooms and lecture halls on the College’s first day of classes. 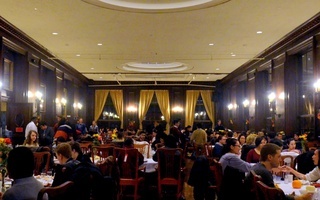 Though some classes consistently popular with students, like Economics 10a: “Principles of Economics” and Statistics 104: “Introduction to Quantitative Methods for Economics,” received expectedly high turnouts, others not as well known also drew large numbers. Some faculty speculated that such courses, including Government 1510: “American Constitutional Law” and Government 1790: “American Foreign Policy,” attracted crowds because of the tense national political climate. “Particularly with everything that is going on in the world, people want to know more about how American foreign policy is formulated,” said Government assistant professor Joshua D. Kertzer, who teaches Government 1790. Kertzer added that his Emerson Hall classroom had seating for only 72 students, but approximately 170 visited to shop the course. He plans to attempt to accommodate all the students who wish to enroll. 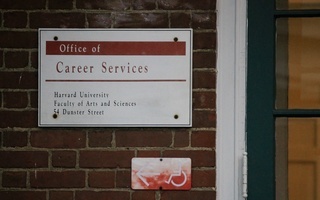 “The plan is now to find a bigger classroom and hire more teaching fellows, and just roll with the punches,” he said. Richard H. Fallon, a Law School professor who teaches Government 1510, said the large turnout in his course may be due to increased interest in the U.S. Constitution. Myer J. Johnson-Potter ’20 said that the current political climate—and the Trump administration’s legal controversies—motivated him to shop Fallon’s course. “Given the times we’re in, I think it’s very important to understand the constitutional checks and balances that exist on the Trump administration,” he said. Both instructors, however, added that they never know what exactly contributes to annual changes in student turnout. Kerzter said that since Government 1790 had not been offered since spring 2016, students may have been particularly eager to take the course. For Jaspreet “Jazz” Kaur ’20, who shopped a Kennedy School course called “Race, Inequality, and American Democracy,” the choice to attend stemmed from an interest in politics and identity. The course, though capped at 60 students, drew dozens more on Wednesday afternoon. Stan A. Veuger, an economic analyst from the American Enterprise Institute, spoke about congressional deadlock and the Trump administration’s legislative agenda at the CGIS Knafel building Friday.